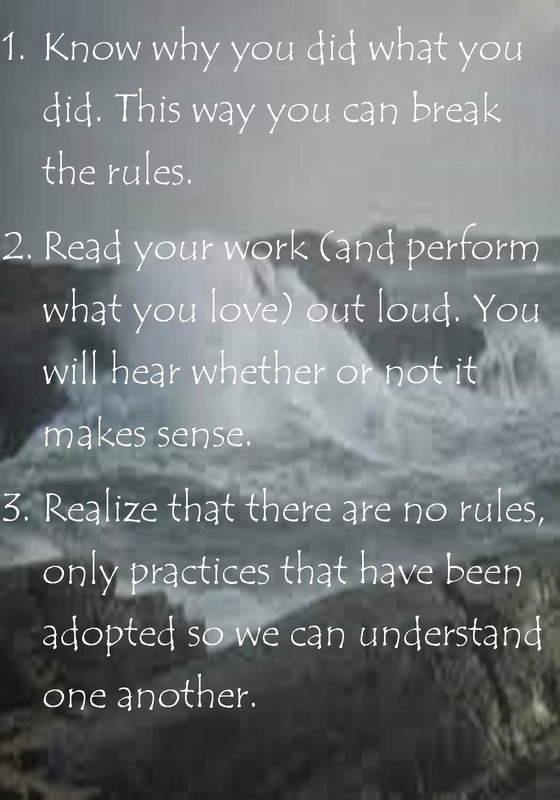 I once wrote my three rules of writing. These are what I would consider my three rules of being, which can also be applied to writing. Feel free to share with others.